Intention is powerful, but it’s not something you create on your own. Rather, it’s a partnership because two is more powerful than one. 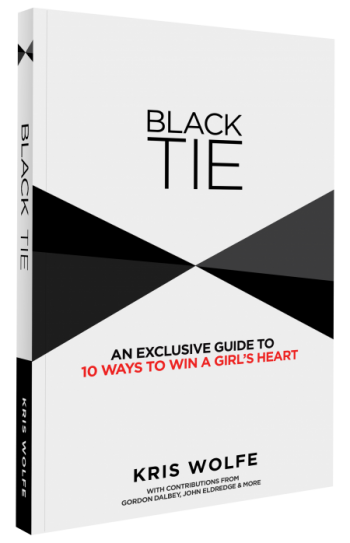 Chapter 4 in 10 Ways to Win a Girl’s Heart is about being intentional in dating. What is intention? It’s the mindset and actions that preclude you reaching your goals and dreams. Every action matters. 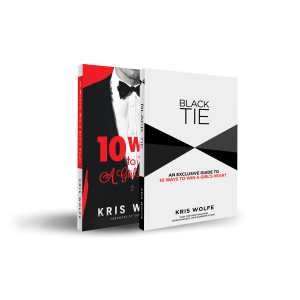 Pursuing a girl requires preparation and purpose, but it all begins with intention. 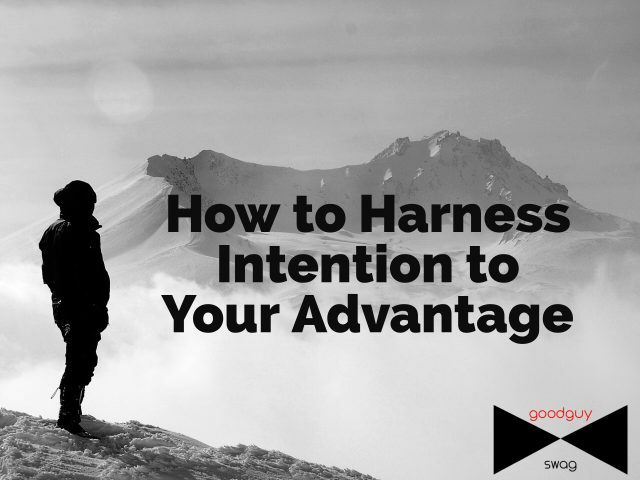 As a good guy, you’ll want to harness intention. We’re going to start with the basics or the basis of intention. A biblical verse promises us that if we seek first the kingdom and righteousness, everything else will naturally come (Matthew 6:33). From the rocks in the ground, to trees, to rivers, to the birds in the air, each of them has purpose and are all interconnected. You’ve probably heard of Chaos Theory or The Butterfly Effect? That a butterfly flapping it’s wings can cause a hurricane on the other side of the world? Heady stuff I know, but we all believe it in some shape or form. If we believe everything has purpose, then why on Earth do we question our own worth?! If a butterfly might somehow be interconnected to a hurricane, then how much power must be contained within you? 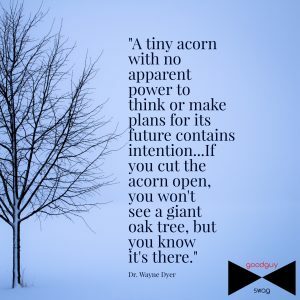 With thought and the ability to make plans, you have infinitely more purpose than an acorn. We have to recognize our interconnectedness and then consciously connect. How can I truly be connected if I’m not connected to something greater than myself? It’s here we find the power of intention. The bow tie logo symbolizes everything on GoodGuySwag.com. I see it as two triangles connected. One triangle represents the mind, body, and soul of a man. The other triangle represents the Trinity (Father, Son, and Holy Spirit). A good guy can harness intention when he connects to the kingdom. For me, connection means everything because it brings my life meaning. My faith falters without community. My weaknesses, addictions, and temptations prevail without accountability with friends. Connection has also brought me immense favor. In 2010, I was riding in an SUV to the MuchMusic Awards with Kellan Lutz and his manager, Ryan Daly. I was so excited. I’d never attended an awards ceremony before. But, on the way, Ryan got a call saying they wouldn’t be able to accommodate me. In this situation, nothing I could’ve said or done would’ve changed the outcome. But then, something really beautiful happened. Within moments, the organizers quickly changed their tune. I was going to the awards! Good things come when we are connected, when friends or others work on our behalf. But, sometimes signs of hope or positive news seem light years away. Ego gets in the way of intention. What is ego? ‪It’s reliance on yourself, your own understanding, fear, and how you appear to others. ‬How can we let go of ego? By acknowledging you can’t do it on your own. It comes through faith and surrender, believing God will see it through. Noah had faith and connection (implied by walking) to God. For this reason alone, he intentionally built the ark. God told him to do it. This is the kind of intention that dwells within legends. When you connect with God and He speaks and gives you things to do, you may not understand why. But, you can trust the outcome even though it might be unseen, makes no sense, or accompanied with opposition. In Genesis 6:3, it’s implied Noah may have built the ark over a period of 120 years! I’m sure he must have experienced some doubt during these many years. Dry seasons may have caused him to question his faith. Haters may have caused him to question his sanity. After a few decades, he may have wondered if he’d heard correctly. Get your ego and your patterns of thought out of the way. Now is the time to connect with a higher power exceedingly greater than us. How can we get connected? Surrender our plans to a greater purpose. And before you know it, you’ll have grown into a might oak.